So close to paradise. 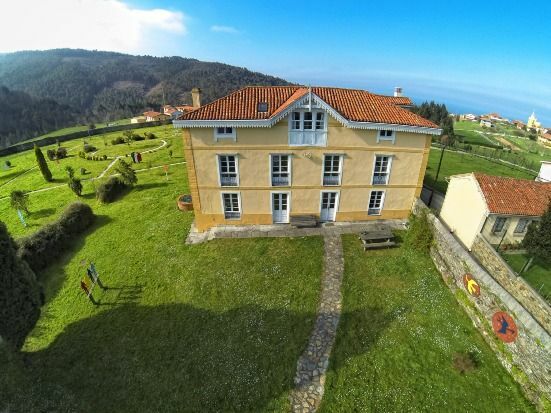 With places like Somao is more than justified the name of "Natural Paradise" that has been given to the Principality of Asturias. The most beautiful landscapes can be seen in this privileged place, chosen by the emigrants who made their fortune in America to build in it the most beautiful palaces and mansions of modernist style, which today are known as "architecture of Indianos" and which make Somao a emblematic place, unique in Asturias. In this place of Somao, quiet and peaceful as few, away from traffic, we have just opened "La Cochera", a "Casa de Aldea", a classic house of Indian architecture completely renovated, cozy and comfortable, with very large spaces both with its four rooms as in the other dependencies, all the details are taken care of, including in its decoration paintings of first signatures of the Asturian and Spanish art, and surrounded by 7. 500 square meters of vegetation. The ideal place to rest and enjoy nature. Leave the stress parked with your car. The Garage of Somao is a house of 1900, of Indian type, totally rehabilitated, located in a closed property of 7. 500 square meters. Somao, natural viewpoint to the Nalón estuary and the Cantabrian coast, conserves in its rural core an important complex of mansions or palaces of Indian architecture. Within a radius of three kilometers are the recreational forest areas of La Peñona and Monteagudo, the town of Muros del Nalón, with the beaches of Aguilar, the Xilo, Las Llanas, and the coastal path that runs along the coast to the Mirador del Espíritu Santo, on the port of San Esteban. Five kilometers away is the picturesque fishing port of Cudillero and nine kilometers from Pravia, the capital of the council.